Microdermabrasion involves a stream of fine micro-particles being blasted across the face by a kind of skin vacuum cleaner to help improve the texture and appearance of the skin. The powder used varies and can include crystals of aluminium salts, sodium bicarbonate, or sodium chloride. Movement of these crystals under pressure loosens and partially removes the outermost epidermal layer of the skin in a kind of sandpapering effect. Alternatively some systems use “diamond microdermabrasion” where the treatment tip contains tiny diamonds that abrade the skin. Once the outer layer of skin has been removed, the layers of skin beneath increase their production of new skin cells to renew the surface layer. It is a mild treatment causing minimal damage to the surface of the skin and therefore results are subtle and include a freshening in the appearance and improvement in the texture of the skin, and a reduction in the appearance of fine lines or wrinkles. 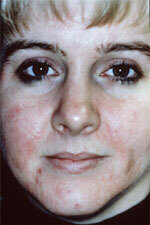 The treatment is usually painless and doesn't irritate the skin greatly. 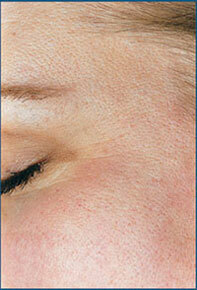 Private costs for microdermabrasion can be in the range of £40 to £80 per session. Microdermabrasion is one of the category of treatments such as botulinum toxin (Botox®), dermal fillers and superficial chemical peels where the treatment session is short, with few side effects and virtually no time off work. They also do not require any surgery. Microdermabrasion was discovered in the U.S.A. and in 2017 nearly 107 000 treatments were performed in America, a decrease of 40.0% on 2016 figures. These statistics come from the American Society For Aesthetic Plastic Surgery (ASAPS), and they make microdermabrasion the seventh most popular non-surgical cosmetic procedure in that country. Various types of microdermabrasion machines have started to be used in the U.K. in the last couple of years, with many becoming available in beauty salons. If you are considering microdermabrasion, the following information will give you a basic understanding of the procedure. It can't answer all your questions, since a lot depends on the individual patient and the practitioner. Please ask a practitioner about anything you don't understand. Microdermabrasion involves a stream of fine micro particles being blasted across the face by a kind of “skin vacuum cleaner”. The powder used varies between different machines and can include crystals of aluminium salts, sodium bicarbonate crystals, or even sodium chloride (table salt) crystals. Movement of these crystals under pressure loosens and partially removes the outermost epidermal layer of the skin (see diagram below) in a kind of “sandpapering” effect. Alternatively some systems use “diamond microdermabrasion” where the treatment tip contains tiny diamonds that abrade the skin. It helps improve the appearance of the skin and the circulation and generally gives the skin a healthy glow. Once the outer layer of skin has been removed, the layers of skin beneath then increase their production of new skin cells to renew the surface layer. 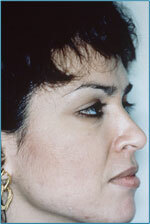 This procedure is sometimes used in combination with chemical peels or some skin creams. Your first discussion with a practitioner should clearly set out your expectations and what the practitioner thinks will happen to your skin as a result of microdermabrasion. A medical history should be taken, to ensure that there are no reasons why you shouldn’t have the treatment, and you would normally be asked to sign a consent form at this time which means that you have understood the potential benefits and risks associated with microdermabrasion. 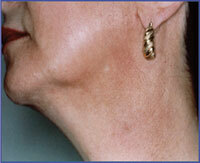 Crystals are directed onto the face and then immediately “vacuumed “ away, along with the loosened skin particles. All the waste goes into a separate, closed container to make sure that there is no risk of contamination from dead skin products. 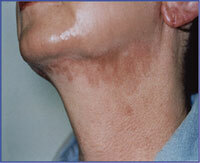 Treatment usually takes around 10 – 30 minutes, but stretch marks can take as long as 2 hours to treat. Most patients find that they can return to work immediately after treatment. What should you do after a microdermabrasion treatment? Use a bland moisturiser to help hydrate the skin, and liberal amounts of sunscreen to protect it from the sun. Deeper treatments for scars and stretch marks may require the use of antibiotic ointment for a few days whilst the skin heals. This treatment is generally suitable for all skin types. Patients not suitable are those who have any active skin infections (such as cold sores); a history of problems with skin healing; or those who have taken isotretinoin within the last 6-12 months. There are some very mild microdermabrasion machines which can be found in beauty salons and which can be used by trained beauticians. There are also some more aggressive machines that can have a deeper effect on the skin that are designed for nurses’ or doctors’ use only. What is the average cost of microdermabrasion? 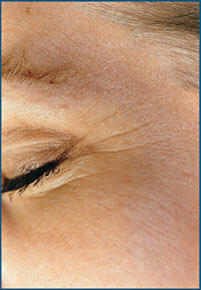 Microdermabrasion treatments can be in the £40 - £70 range for a 30 minute treatment session. 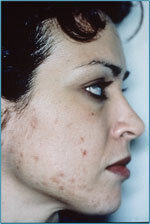 Multiple treatment sessions are usually offered at a discount. 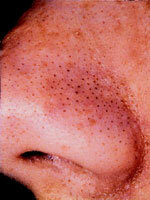 Microdermabrasion is a quick and safe treatment which doesn’t involve any surgery. Its results are not permanent, but it makes your skin look younger and fresher, with a more uniform complexion. 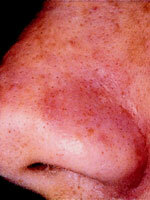 It can stimulate circulation in the face, as well as causing new skin cells to grow more rapidly. Microdermabrasion can be also be an effective option for improving the appearance of stretch marks and some other scars on the skin. 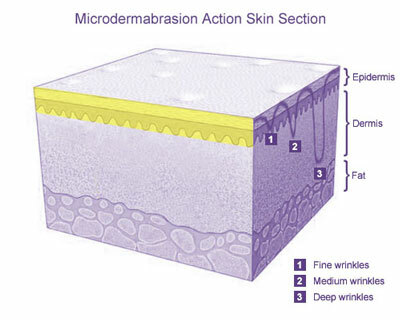 Similar results can be obtained using mild chemical peels to remove the outermost layer of the skin to stimulate new skin cell growth or hydradermabrasion which is a newer, but similar, alternative to microdermabrasion that is promoted as a more comfortable form of mild skin resurfacing and is available in some UK clinics. 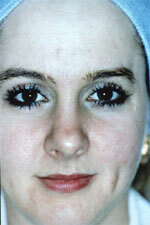 Acne before (left) and after (right) - 8 microdermabrasion treatments, carried out once a week. Images provided courtesy of Eden Aesthetics Distribution Ltd.
Click for ALL Microdermabrasion clinics in the UK & Ireland registered and verified by Consulting Room. 4 out of 5 based on 9 customer reviews.